The Circulatic® Steam Generator is a forced recirculation watertube boiler that uses a drum as a steam separator and a reservoir of water to supply the coils. A recirculating pump draws the water from the drum and forces it through a set of parallel connected coils at the rate of 3 to 4 times the maximum steaming rate. The hot gases envelop the entire tube surface to achieve very high heat transfer rates. The water is then pushed through a steam lance and a series of baffles in the drum where some of the water is flashed into steam and separated. The dry steam is released and the water is recirculated through the coils. 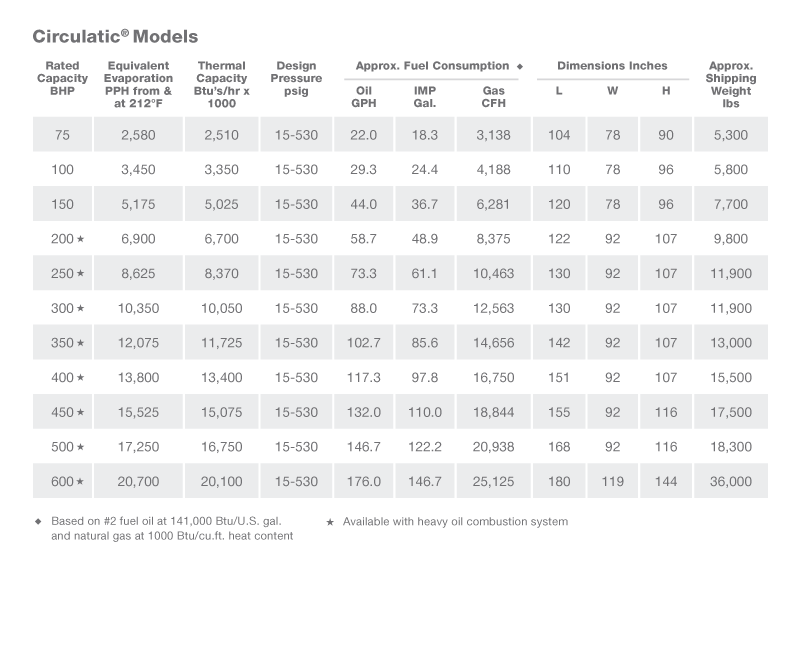 The fuel and combustion air is controlled by a linkageless fuel air ratio control that responds to steam pressure. The feedwater is controlled by a water level control system and modulating feedwater valve. The Circulatic® Steam Generator is available with the latest in communications and controls technology. Linkageless burner controls are a standard feature, allowing for optimal efficiency at all firing rates. A variety of PLC and HMI solutions are available and our in-house programming provides customized solutions for every application. Remote data acquisition and control is available via ModBus, Ethernet, Bacnet, or other communication protocol. 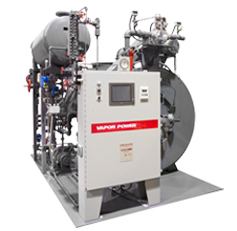 As one of the industry’s leading manufacturers of boilers, packaged steam generators and thermal fluid heaters, Vapor Power International has everything you need to keep your boilers operating in top condition. That includes complete retrofit upgrade kits to outfit your boilers with the latest in controls and components. These videos are brought to you courtesy of WARE.